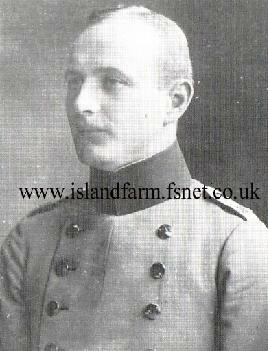 8 July 1906: Entered the Royal Bavarian Army as a Fähnrich in the Bavarian 14. Infanterie-Regiment Hartmann after passing out from the Bavarian Cadet Corps. 1 August 1907-25 January 1908: Detached to War School München. 23 April 1914-29 April 1914: Detached to the Machinegun Teaching Course at the Bavarian Firing School. 7 August 1914: In the field with the Bavarian 14th Infantry Regiment. 25 August 1914: Delegated with the leadership of the Machinegun Company of the Bavarian 14th Infantry Regiment. 27 July 1915-30 July 1915: Detached to the Gas Protection Course in Berlin. 26 October 1916: Deputy Regimental Adjutant of the Bavarian 14th Infantry Regiment. 12 November 1916: Regimental Adjutant of the Bavarian 14th Infantry Regiment. 14 February 1918: Detached to the staff of the Bavarian 20th Infantry Division. 9 March 1918: Allocated to staff of the Bavarian 11th Infantry Division as a General Staff Candidate. 12 August 1918-8 September 1918: Detached to the General Staff Course in Sedan. 22 September 1918: Battalion Leader in the Bavarian 11th Replacement Regiment/Bavarian 39th Infantry Division. 13 November 1918: Transferred to the Replacement Battalion of the Bavarian 14th Infantry Regiment. 2 December 1918: Detached to the General Command of the Bavarian III Army Corps. 1 October 1919: Transferred to the Processing Office of the Bavarian III Army Corps. 11 January 1920: Separated from the Army and joined the Bavarian State Polizei [Police] Force, later the Bavarian Land Police, Group II, Nürnberg. 8 October 1923: Deputy Staff Leader in the Command of the Land Police Nürnberg-Fürth. 1 December 1923: Staff Leader in the Command of the Land Police Nürnberg-Fürth. 5 September 1928-7 September 1928: At the same time, delegated with the deputy leadership of Sector Nürnberg. 1 October 1928-13 October 1928: At the same time, Leader of a Tactical Training Course in Difficult Terrain for Police Officers. 29 October 1928-31 October 1928: At the same time, Deputy Commander of Police Sector Nürnberg. 12 November 1929-20 December 1929: Detached to the Police Legal Course in München. 3 November 1930-13 December 1930: At the same time, Teacher of the Officers Training Courses in the Land Police Nürnberg-Fürth. 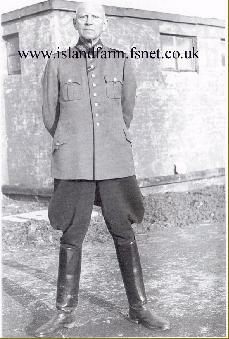 31 August 1931-5 September 1931: At the same time, Leader of Officers Training Courses in Coburg. 1 December 1931: Transferred to the staff of the School Command of the Police School Fürstenfeldbruck and, at the same time, Case Consultant for Law Clients and Case Teachers for Service Regulations. 24 April 1935-27 April 1935: Detached to the Staff Officer Course in Stuttgart. 1 June 1935: Chief of Staff of the Land Police Inspectorate South, Stuttgart. 15 October 1935: Accepted into the Army with the rank of Oberst and allocated to the staff of Army Service Center 7. 15 May 1936: Transferred to the staff of Infantry Regiment 40. 1 April 1938: Transferred to the staff of Infantry Regiment 34. 1 May 1938: Commander of Infantry Regiment 34. 1 May 1939: Military Recruitment Inspector Mannheim. 6 May 1941: Military Recruitment Inspector Graz. 1 January 1943: Führer Reserve in the Army High Command. 10 January 1944-19 January 1944: Detached to the Course for the Prisoner of War Service. 21 February 1944: Detached to the Commander of Prisoners of War in Wehrkreis [Military District] General Government (Poland). 1 May 1944: Commander of Prisoners of War in Wehrkreis General Government (Poland). 5 September 1944: Führer Reserve in the Army High Command. 20 September 1944-4 May 1945: Commander of Prisoners of War in Wehrkreis VII, München. 4 May 1945-May 1948: Prisoner of war. 12th May 1948 transferred to Camp 186 fo repatriation. Gunzelmann’s World War I and II decorations are not known. However, he was not a recipient of any high decorations such as the Knight's Cross of the Iron Cross, Knight's Cross of the War Merit Cross with Swords, or the German Cross in Gold/Silver in World War II.